Stripes, you cant have too many, am I right? 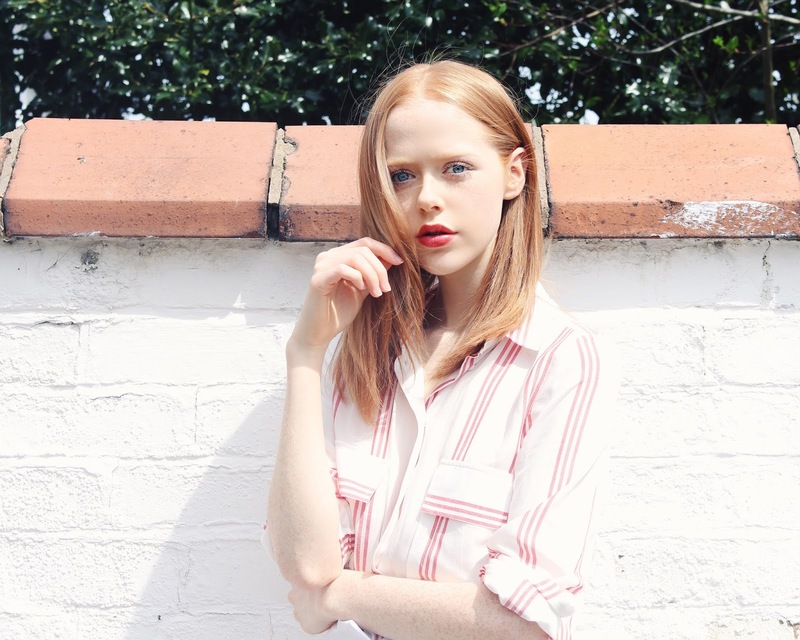 Today's post features one of my new favourite pieces that I picked up from Zara recently. 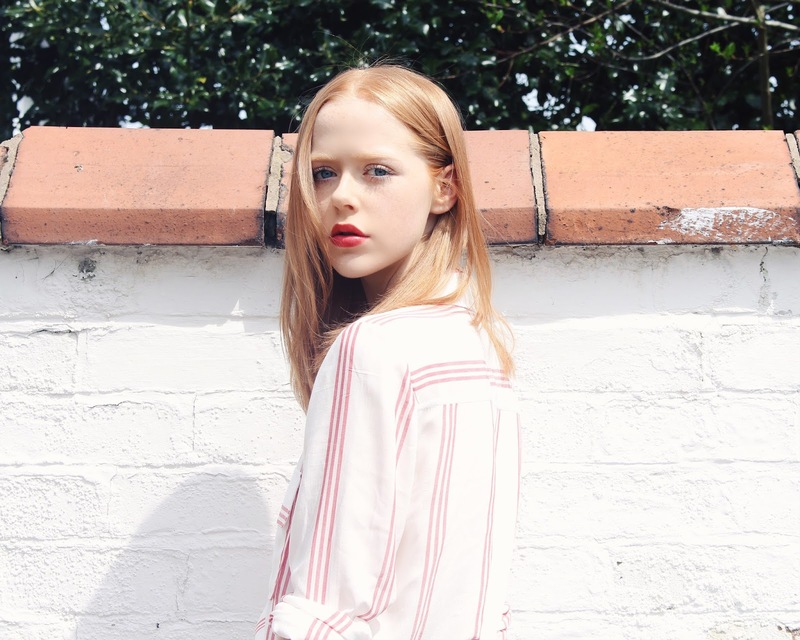 It's this gorgeous white and pinky/red striped shirt (have a look by clicking here)! The material is so super comfy and soft and the colours are just right up my alley at the moment, I just had to get it! Here, I decided to style it with my white high-waisted Missguided shorts and my pink Dorothy Perkins Heels so that I could be super duper coordinated haha! I love the look and think it'd be so nice for an evening out during the summer! I love it with the pinky lip I'm wearing too! 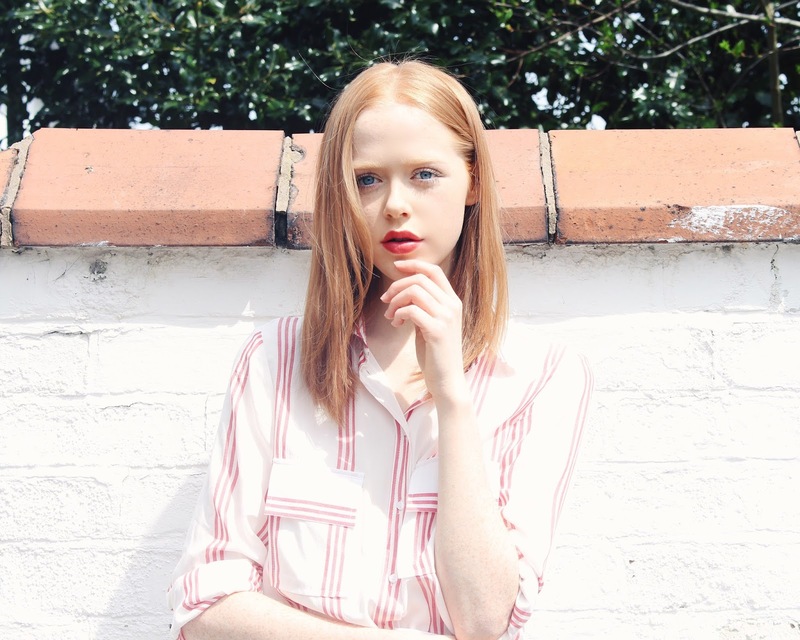 Zara are absolutely killing it at the moment (which you most likely know already, but if you don't...), you should definitely go and have a nosey! Your lip colour pairs so well with this outfit, you look so nice! Love this look Hol! Really obsessed with that shirt - I never seem to buy white shirts incase they make me look uber pale but I love this one!